is this product is usable even the termite are staggered on my house, especially my cabinet already have now. let me know if i have a problem of termite in soil and already have up in my house especially is now in the cabinet do i still control it? 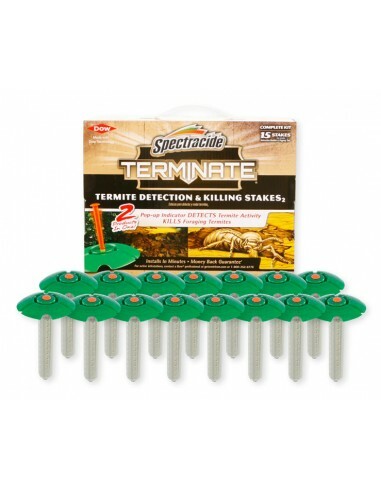 Spectracide Termite Kiling Stakes are for the control of subterranean termites only. They do not kill drywood termites or termites that live and colonize inside of walls. If the termites are in the cabinets, and there is no evidence anywhere else, then it is possible that you have drywood termites. It is also possible that you have powder post beetles and have mistaken them for termites. In either case, I would highly recommend that you get an inspection from a local certified termite control company to identify what it is. They can also make treatment recommendations. Then if you decide to do it yourself, we can help.